When we say “road trip,” you may not immediately think of skiing. You probably think of top-down convertibles cruising The Pacific Coast Highway or a minivan plowing through an empty stretch of the Midwest. But winter is the best time of year to take a road trip. 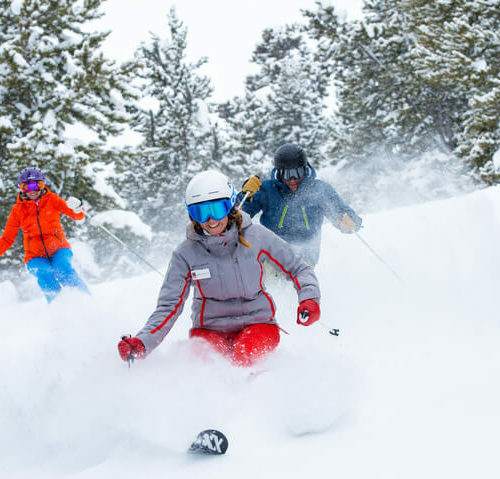 Because you can pack your active days with skiing and boarding, and reserve your off days for hot tubs, live music, and hot toddies by the fire. Whether your ride is a luxury motorhome or 2005 compact, this ski road trip hits some of the hippest ski resorts in America. And better yet? Each is authentic, uncrowded, and unpretentious. Here’s your next ski road trip starting in Boise and hitting up Sun Valley, Big Sky, and Jackson Hole. The drive from Boise to Sun Valley is scenic and quick so take your time setting off. Fuel up at Beans and Brews Coffee House on your way out of town and then hop on Highway 84 and head southeast. Welcome to Sun Valley, your first official destination. 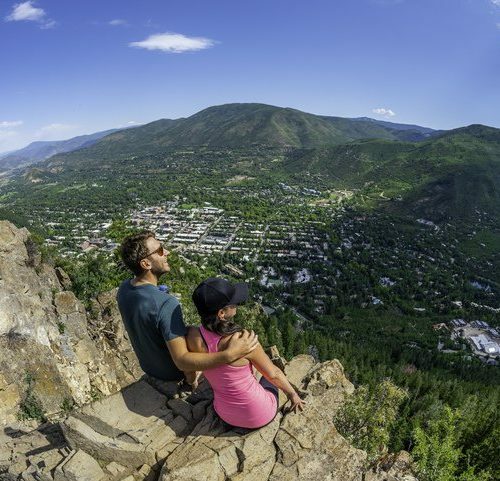 Once you’ve checked into your hotel, get situated and familiar with the small town of Ketchum. Hit up Whiskey Jaques, play shuffleboard in The Lounge, and fall into bed early. Day two is for adventure. 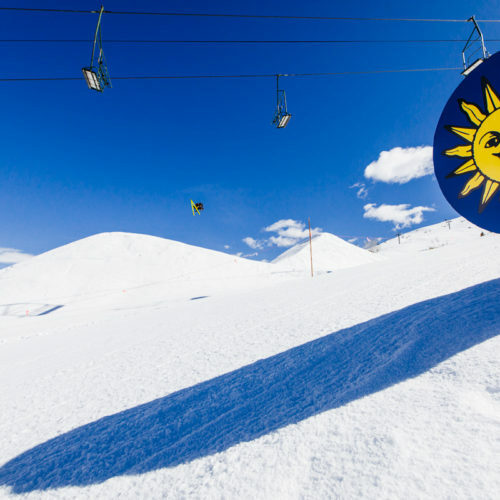 Bald Mountain is the single ski mountain in Sun Valley with 75 runs and 14 lifts. While this is the smallest ski resort out of the three, its wide-open runs are charming and refreshing. The best part is you can walk there from any hotel downtown. Our advice? Wake up and get a “Bowl of Soul” from Java on 4th, head to the mountain, and ski all morning. 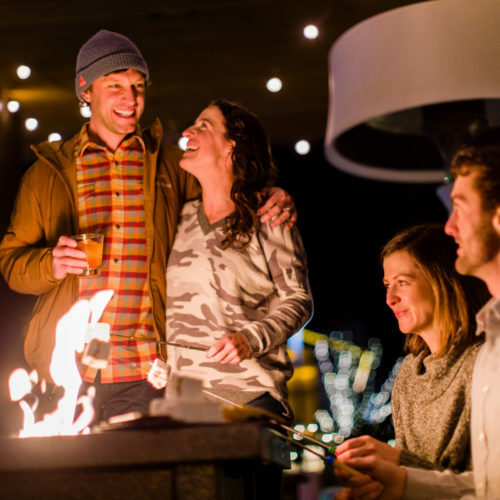 Once you’ve tired yourself out, stop into River Run Lodge for après-ski. Spend one or two more days in Sun Valley, depending on your schedule. Each night, test out a new restaurant like Pioneer Saloon, Lefty’s, or Il Naso. Be sure to know about the daily deals happening around town, especially if you’re on a budget. Limelight Hotel in downtown Ketchum, located right off Main Street when you get into town. If you’re an Idaho local, check for local’s rates, starting at $119/night. On the way out of Sun Valley, stop at Sawtooth Brewery in Hailey, and grab a sixer of your favorite beer. Then continue your ski road trip to Big Sky, Montana. The most obvious place to make a pit stop is Idaho Falls. If you’re like us, you’ll want to stop here, grab lunch, and stretch your legs. Then, onward! 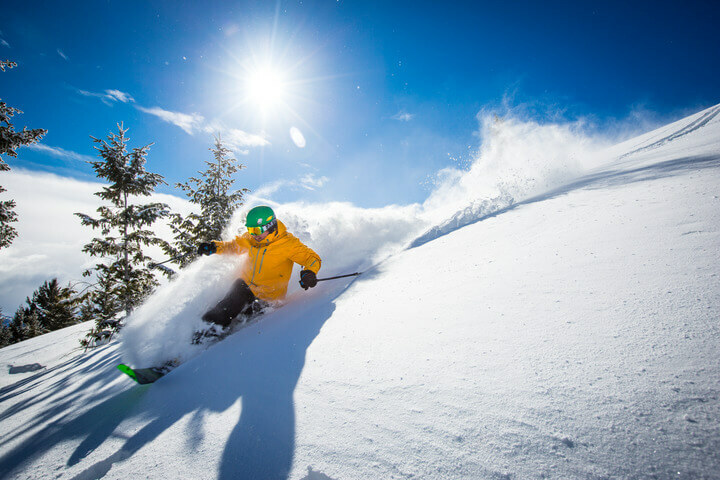 Big Sky Ski Resort is a 300-degree mountain with 300 named runs across four mountains. Over 60 percent of the runs are black diamond or double, but if you’re craving even more vertical, you can take on “The Big Couloir,” one of the toughest ski runs in the country. If you prefer to keep it chill in Big Sky, head to Andesite Mountain and hit up the green and blue runs. For dinner and drinks after skiing, hit up Yeti Dogs (to save) or The Cabin (to splurge). For a unique experience, sign up for the Montana Yurt Dinner. You meet at the base of the mountain then snowcat to an “undisclosed” location on the mountain. Up there, chefs prepare dinner in a yurt and tent. Price is $114 per person, but you can BYOB your drinks. Priceless. The Lodge at Big Sky, located within Big Sky Resort; rooms go for ~$200 per night. On your trip back down, you’ll weave in and out of Wyoming and Idaho, stopping in West Yellowstone before landing in Jackson, WY. 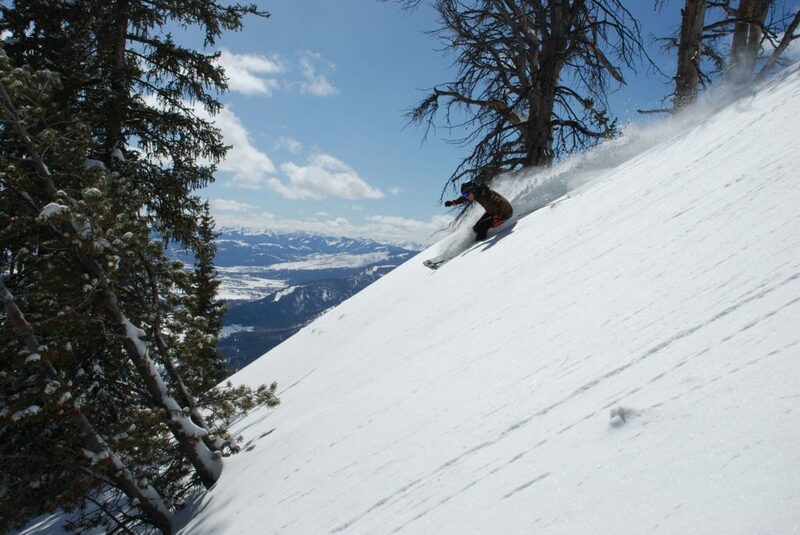 Jackson Hole Resort is unique because it’s rustic and refined with some of the best runs in the country. After skiing, warm up at the Mangy Moose in Teton Village, a bustling bar with live music every day. If you’re staying in the town of Jackson (what we recommend), also hit up The Rose, a cocktail bar with a speakeasy vibe. One of the sweetest things about skiing in Jackson Hole is the fact that you have Grand Teton National Park right there. On your day off (if you’re that kind of person), you can easily head up and view the majestic scenery. Drive north to the many vistas and turnouts along Highway 26 (open year-round). Our favorites are Schwabacher’s Landing and Teton Point Turnout. Arrive early or late in the day for sun-soaked Tetons. Be sure to check road conditions as the winter months can be treacherous. The Lexington at Jackson Hole, in Jackson, WY. This hotel is a 25-minute drive to the ski resort but gives you an inexpensive stay. During the last stretch of your ski road trip, you have a few options. Drive through, rest your legs and blast your favorite playlists. 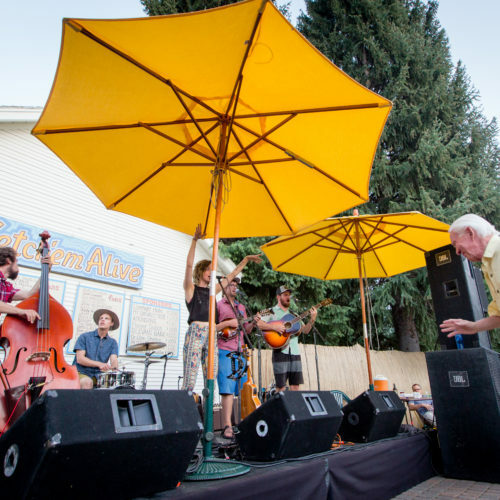 Veer south to stop by Lava Hot Springs and enjoy the thermal pools (and a small town vibe). Make a pit stop in Twin Falls to check out the Snake River Canyon. And…..you’re back! Tired, sore, and ready for your comfy couch.